Determine the best fibre optic route. ACTERNA has announced that its Optical Fibre Mapping (OFM) software can now help determine the best fibre optic route to connect two points as well as manage inner duct connections and usage. The software is already able to hone in on the exact location of faults, outages, affected nodes, and customer sites, as well as shed light on the entire fibre optic network. With OFM software, users from different divisions within an organisation can also generate customized reports or displays and get the specific information they need. The OFM-500’s new features are powerful solutions for both telecommunications and cable operators, both of which utilise next-generation fibre optic networks. By identifying the best fibre optic route according to criteria specified by the user such as the lowest attenuation, the shortest length, or the minimum number of connections, the software saves a significant amount of work for both sales as well as provisioning personnel by eliminating countless hours finding spare fibres in each cable and virtually splicing the fibres. Additionally, in the case of a fibre fault, OFM-500 software finds, in matter of minutes, other optical fibre routes that can be used as a backup. The software also manages ducts and inner ducts, which is significant for operators who want to limit their up-front investment for access networks by installing inner ducts that will be filled with cables at a later date when demand increases. 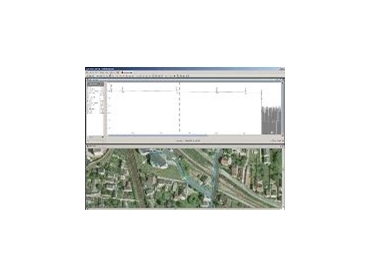 For each section of the access network, Acterna’s OFM-500 software indicates information regarding the usage of ducts and inner ducts, the cables inside the ducts and inner ducts, and the customers served by those cables. When it is necessary to modify the network for maintenance tasks, the user will know which customers or services are likely to be affected. Because of the high fibre density in metro networks, the explosion of high-bandwidth, data-intensive traffic requires connections to be frequently modified. This requires operators to have up-to-date documentation that includes original schematics created by a designer in paper or electronic formats, maps, photos, plant assets, and network element data. Although installers may make modifications, the documentation is rarely updated because technicians performing regular operation and maintenance (O&M) procedures do not have access to the original files. With minimal information on the as-built network, much of the existing documentation is rendered useless when the network goes down. Based on Acterna’s heritage of fibre optic technology innovation, the Acterna OFM software can be used as a standalone software package installed on any desktop PC or deployed as a multi-users architecture accessing to centralised database on a server. OFM can also be integrated with Acterna’s Remote Fibre Test System (RFTS) to form the complete Acterna Optical Network Management System (ONMS). With ONMS, continuous monitoring, trouble-ticketing, alarm reporting, and complete performance management with data analysis, statistics, performance, and quality reports are provided. The system is DWDM ready and its open architecture provides scalability within the ONMS platform as well as easy integration with other applications.